As reported by Barracuda Networks, a new variant based on the Locky Ransomware virus is rapidly spreading with over 20 million attacks in 24 hours. This infection randomizes the subject, content, and domain of the infected email to stay ahead of virus blockers. 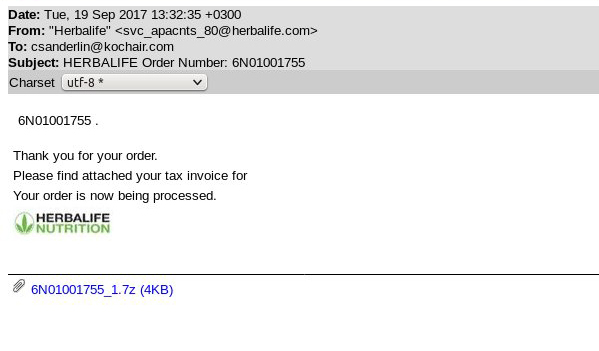 It is spreading via infected emails with attachments, usually from a spoofed Herbalife or Copier type email. 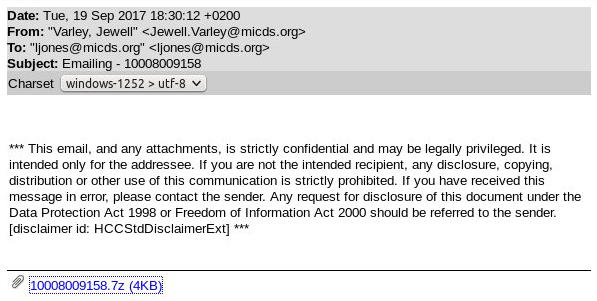 Barracuda Networks has posted the following images are examples of the infected emails. Images from Barracuda Networks, Inc. This virus is very malicious as even if ransom is paid, it cannot be reversed and the decryption key will not operate.